After W.W.II Zeiss was split into two parts, one in the American Occupied Zone, and the other in the East German Russian Occupied Zone. 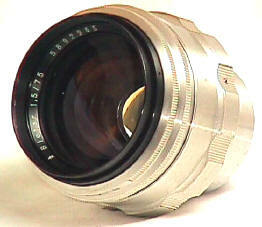 The East German side produced the 75/1.5 Biotar -- a super speed fine performing lens for its day. This was an expensive lens, which translates to rare and hard to find today. Made in at least five different mounts, it was always one of the fastest portrait lenses, if not the fastest, available in that mount. Like the majority of 1950's East German "Jena" lenses, all 75 Biotars were coated, and had aluminum rather than chrome lens barrels. 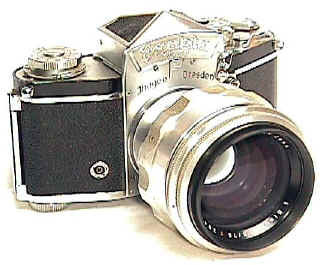 Note the dual aperture rings. One is to select the aperture, the other is the pre-set ring to close the aperture down to the pre-selected aperture. Production was roughly the early to mid 1950's. 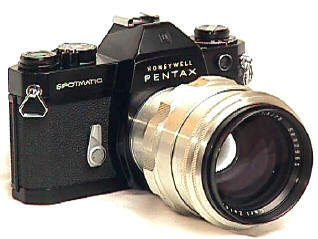 Most people would say this example is Pentax screw mount...but it isn't. You see, the 42mm screw mount was first used on the East German Contax S. And so this lens is actually Contax S mount...which eventually became known as Pentax screw mount. The 75/1.5 Biotar weighs in at a petite 19 oz even with the aluminum barrel, and has a filter size of 58mm. The focusing scale is marked in both meters and feet. About 80% of the 75 Biotars I have seen were in Exakta mount. 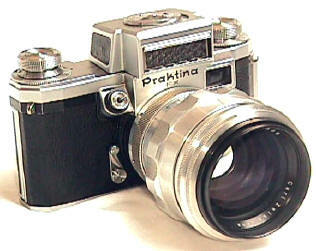 They were also made in Contax S (Pentax screw) and Praktina mounts. 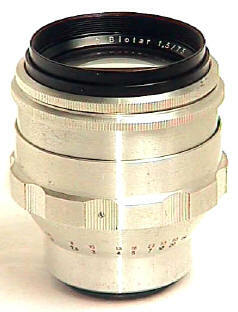 The rarest 75/1.5 Biotars were made in coupled Leica screw mount and Contax rangefinder mounts.